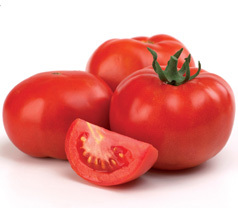 Tomato Paste is extracted from the best quality, mature, and ripe tomatoes (Solanum Lycopersicum, Family Solanaceae) by the hot break / cold break process under stringent hygienic conditions. The soluble solid contents of freshly extracted Tomato paste shall not be less than 28 % m/m as determined by Refractometer at 20°C, uncorrected for acidity, and read as Brix in the International Sucrose Scales. The pulp is strained so that it is free from peels, seeds, other coarse parts of the tomato fruit, and other substances or impurities.